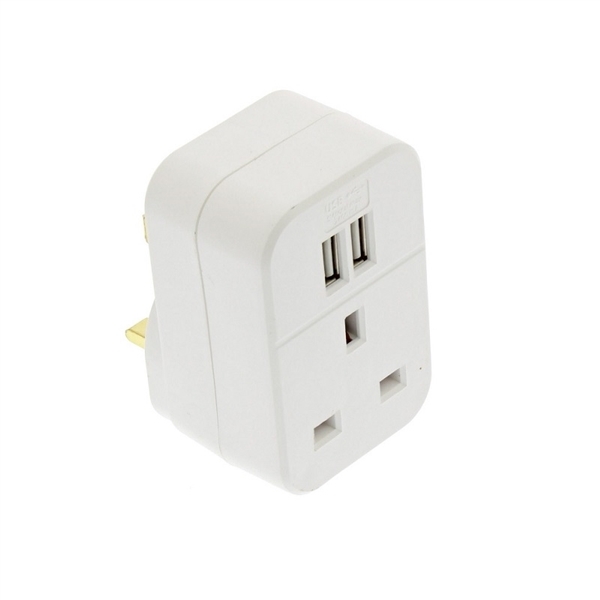 These handy USB charging plugs are device compatible for iOS, android and windows for tablets and phones and simply plug into any socket giving you 2 USB charging points without losing the socket for the standard 13A plug. Input 240V AC 50Hz 0.3A. (Fast charge) or 1200mA if two USBs are in use.